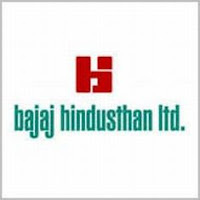 Bajaj Hindusthan, the country’s largest sugar company, has reported a 47.92% fall in its consolidated net profit at Rs 21.45 crore during 2010-11 fiscal mainly due to higher interest outgo. The company posted a net profit of Rs 41.19 crore in the previous fiscal. It follows October-September as fiscal year in line with the sugar marketing year. However, the total income of the company rose 53.05% to Rs 5,081.89 crore during current fiscal from Rs 3,320.48 crore in the previous year.